What do you get when you have a desk, table, sofa table, two recliners, and two couches in one room? I should mention none of them match in either style or color. You get a place that is not only crowded but not functional. I have been playing with my furniture options trying to make them work but the truth is after 19 years I need a new living room. I love to shop. I could do it all day, but I have been shopping for a couch for six weeks now, and I have found nothing I like. I just can’t seem to visualize what I want. That is why a service like CORT’s furniture rental is so valuable. You can rent a look for a long time or a short time before buying. 2) Gather your favorite knick-knacks from each room and put them in a laundry basket. I love candles and flowers. 3) Take your decorations from Fall and think about how you can use them this winter. 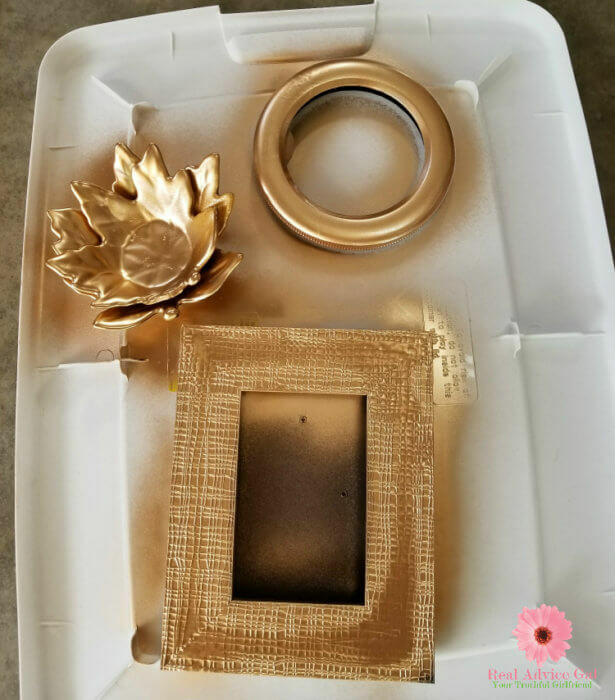 (Pumpkin snowman, fake fall leaves painted gold and used on your holiday table, pine cones painted gold or silver made into Christmas trees, painting acorns gold and silver for your tree, and my favorite spray painting fake flowers for a new season. 5) How about changing the pictures on a feature wall in your living room. I swap out pictures all the time. I even make new ones by buying photos at thrift shops and painting over them. Do not forget you can paint the frames to change the feel. 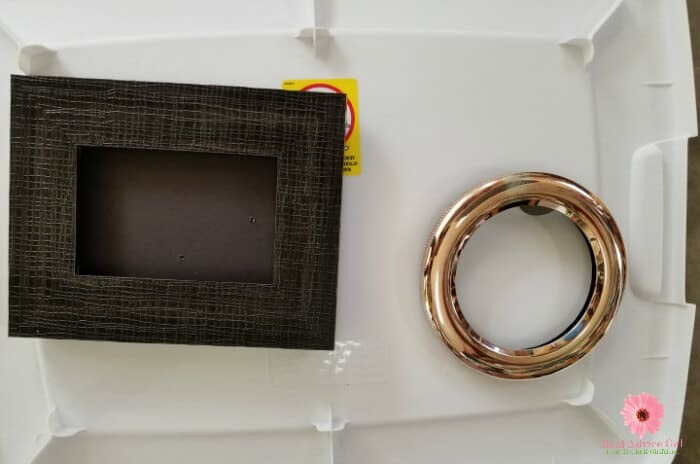 I repainted silver frames to a warmer gold. 6) Repaint or do something even easier as I did. Just buy stick-on wallpaper, and in a couple of minutes, you have a whole new look. Yes, those gold dots are stickers, and they come off easily. They were under 12 dollars. 7) Buy new pillows or make your own pillow cases to recover what you have. I have even taken out my glue gun and turned something okay into something incredible. I used my pillows from my bed to update for winter. 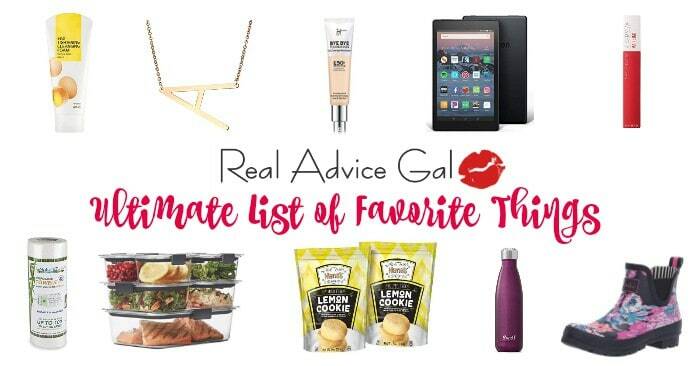 8) Pick one color and add items in that color into your room. You can buy spray paint and paint decorative plates to hang on the wall or use to hold candles on a table. You can paint your coffee table or your side tables. 9) Move the furniture around. I found that taking out some of my furniture made my space feel more comfortable. 10) Rent the expensive pieces from CORT. That frees up your budget for all the living you can do instead of decorating your living room. 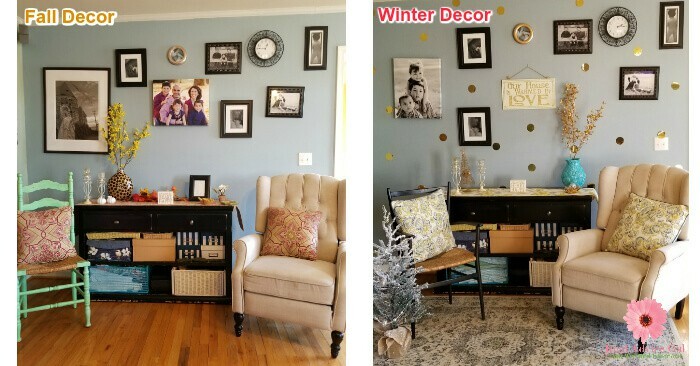 For more tips on how you can change your decors this season, visit CORT’s How to Winterize Your Home with Seasonal Decor tips. You can see how I winterized my room for under $50 in one hour. I love to change things around for each season. I believe that anyone can take their house from fall to fall in love with winter with a little imagination and help from your friends at CORT Furniture Rental. Here is another idea on How to Decorate with wallpaper.